The usual monitoring time frame is 36 months. The time period of advanced practice licensees and those entering a second or subsequent Monitoring Agreement will be 60 months. Remain free of alcohol or drugs (for the duration of the monitoring agreement). Obtain verifications of all medications from prescribers and provide to TnPAP. Submission of all required reports according to the Monitoring Agreement parameters. Attendance at facilitated support group meetings. Participation in counseling/therapy if recommended. Put all information related to your monitoring in a notebook. Read the Monitoring Guide which will answer most of your questions. Once you have registered for toxicology screening, you will have access to several training manuals behind the "My Course" tab at your home page. Review each course. Thoroughly read your monitoring agreement. "I didn't know" is not an acceptable reason for noncompliance. The best way to communicate with your TnPAP case manager is by email. If you choose to call us, your call will be returned in the order in which it was received. All calls are returned during regular business hours (8 a.m. – 4:30 p.m., Monday thru Friday, except major holidays). You are expected to read the Monitoring Guide which will answer most of your questions and provide instructions for toxicology screens (My Courses). Affinity Online Solutions (AOS) manages the randomization of your drug testing frequency for TnPAP. To Login to AOS, CLICK HERE. The registration process is outlined in the Affinity ehealth Participant User Guide. While highlights are given below, we strongly encourage you to read the Affinity ehealth Participant User Guide in its entirety so that you can fully understand the process. An individual’s AOS account must be activated prior to signing the monitoring agreement. Randomized toxicology screens are required for most TnPAP participants to deter the use of alcohol, mood-altering or controlled substances. Drug screens are ordered at a minimum amount per year, not per month. Some individuals may require additional screens, at an additional charge. If this is the case, the specifics will be discussed with you individually by a TnPAP case manager. If you are having drug screens done routinely by the court system (drug diversion), TnPAP will do what we can to use those as supplemental tests in order to decrease the number of TnPAP screens and lower the costs to you. Even though urine drug screens are the standard test utilized, TnPAP may request other types of toxicology screening, e.g., blood, hair, etc. Tip: You are accountable for your own recovery. When you “check in” each day (365 days annually) to determine if you need to provide a specimen, you reinforce your responsibility. Hours are posted on the Affinity Online Solutions (AOS) home page. Tip: Check in and provide the specimen early in the morning. Tip:	Refrain from drinking excessive amounts of fluids before you provide the specimen (restrict fluid intake to 8-16 oz. four hours prior to testing). Tip: AOS records the exact time when you check in or missed call. Tip: Leaving a voice mail or sending an e-mail to your case manager does not excuse a screen. Tip: AOS customer service representative cannot excuse a screen selection. Tip: Complete the chain-of-custody form in its entirety. Failure to do so may result in a “no show” report or require a retest (at your expense). Tip: The ingestion of poppy seeds, “second hand” marijuana smoke, cooking with alcohol, or using any over the counter products containing alcohol is not an excuse for a positive result on a toxicology screen. If this occurs, it will be considered a positive UDS result. Tip: Reading the Affinity ehealth Participant User Guide will make the registration process easier for you. CLICK HERE for the guide. Tip: It is your responsibility to maintain a sufficient amount of money in your AOS account, at all times, for toxicology screening. The lack of funds will not be considered as a legible reason for not providing a specimen when selected to do so. Tip: Be aware that toxicology screen frequency is determined on a yearly, not monthly basis. Therefore, the number of tests will vary each month. A sequence of events will occur whenever we receive a non-negative or abnormal drug screen result from a specimen you provided for testing. A urine drug screen may be considered abnormal if the result is dilute, adulterated, invalid, outside normal temperature range, or is a substituted specimen. The first time an abnormal specimen is received, you will be given directions to assist you in routinely providing concentrated drug screening specimens. Refraining from drinking excessive fluids will help to concentrate your urine. If your drug screening specimens continue to be dilute, they will be considered as a positive drug screen result and you may be directed to make an appointment for a re-evaluation or with a nephrologist. 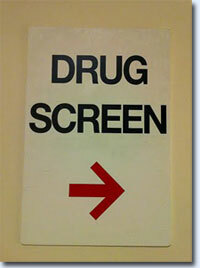 If a positive drug screen result is received, we will call you. We will identify the date of the specimen and will ask you for the reason your drug screen was positive. Depending upon the reason for the positive drug screen, the TnPAP case manager will determine best course of action such as re-evaluation of your recovery status or we may direct you to discuss the positive screen with your therapist, etc. If you are working in a health care setting, we will inform your supervisor of the positive screen and may recommend that you stop working. The TnPAP monitoring team will discuss information received from your supervisor, the evaluator, therapist, etc. and present you with further recommendations. Tip: If you have a positive toxicology screen you may be required to immediately cease practice until a negative result is obtained. Tip: A positive toxicology result not supported by a Verification of Prescribed Medication report will be considered a violation of the Monitoring Agreement. Tip: You are responsible for any/all cost of re-testing a specimen. All adulterated and substituted drug screen specimens will be considered positive and will be handled as described above for a positive drug screen. Tip: Any attempt to alter a drug screen may result in immediate discharge from TnPAP and a report made to your licensure board. Tip: Do not miss a drug screen! 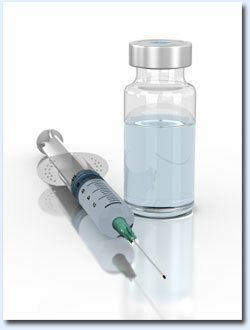 If an emergency prevents you from providing a specimen on a required day, call us immediately! If it is after normal business hours or on a holiday, leave a message in your case manager’s mailbox and he or she will contact you when the office reopens (see Staff Directory). We will not excuse testing for any reason other than documented medical illness that would preclude you from screening (i.e. hospitalization or absolute bed rest). If you plan to travel you will need to make arrangements beforehand to test. AOS offers access to testing sites throughout the continental US on their website. It is expected that you will keep your case manager informed of your travel plans and request vacation, utilize the monitoring interruption feature location on your AOS home page. A case manager may increase screens as needed for missed screens, missed call-ins, suspicious screens, etc. If you miss a scheduled screen it will be considered a positive screen. It is extremely important that you keep funds in your lab account at all times. Lack of finances does not excuse you from missing a screen. Once your monitoring agreement has been signed and upon request, your case manager will consider authorizing you to return to practice. A copy of the TnPAP Monitoring Agreement and any amendments must be immediately provided to all employers. Weekly attendance is required. You may not change your group without prior approval from your TnPAP case manager and your current group facilitator. Being in the presence of drug or alcohol, drug or alcohol users, or places where you used or brought drugs. Feelings you perceive as negative, particularly anger; also sadness, loneliness, guilt, fear, and anxiety. Positive feelings that make you want to celebrate. Listening to war stories and just dwelling on getting high. Believing that you no longer have to worry (complacent) and it’s safe for you to use occasionally. If you relapse, be honest and notify your case manager. Welcome to the Talbott Recovery Campus guide for a safe and sustained recovery. This document was developed through a collaborative effort between some of the best minds in addiction care today and will help you make wise decisions, ensuring that medications you may be prescribed and incidental exposure to alcohol do not threaten your hard won recovery. This guide is divided into three sections and is based on the drug classification system developed nearly 20 years ago by Dr. Paul Earley and recently expanded on by Bruce Merkin, M.D., Renee Enstrom, Nicholas Link and the staff at Glenbeigh hospital. Part one provides a way of categorizing medications according to their safety. Part two offers a list of liquid medications that do NOT contain alcohol. Section three was developed by Greg Skipper, M.D., FASAM and provides a list of common household products that contain ethyl alcohol and could produce a false positive on testing for alcohol. Avoiding these products will decrease the likelihood you will absorb or ingest small quantities of alcohol that could sensitize your system and threaten recovery. Please remember that this guide is only intended as a quick reference and never as a substitute for the advice of your own personal physician. It is essential that you inform all of your personal physicians, dentists and other health care providers of your chemical dependency history so that medications can be prescribed safely and appropriately when they are deemed necessary. Never discontinue or make any changes in the doses of medication that you may have been prescribed. Doing so may result in unexpected problems such as withdrawal reactions, which in some cases can be life-threatening. The bottom line is that a recovering addict or alcoholic needs to become a good consumer. Remember that “Recovery Is Its Own Reward.” Being healthy and regaining a happy life is your responsibility! Should I report any medication that's been prescribed to TnPAP? Yes. You must also have the prescriber complete and submit a Verification of Prescribed Medication report to TnPAP prior to ingesting any medication unless it’s due to an emergency. Should I report any over-the-counter medications that I am taking to TnPAP? Yes. Also always read the ingredients. If my employer is drug testing me do I also have to test for TnPAP? Yes. The exception may be if the testing site utilized by your employer is also an approved site for AOS and the results are provided to TnPAP. Who is a Medical Review Officer (MRO)? A professional MRO is a licensed MD who is an expert in drug and alcohol testing and the application of federal regulations to the process. What is a chain of custody specimen? A chain of custody is a legal designation that defines the circumstances under which the specimen was collected and ensures no tampering occurred. Who pays for the drug screens? The health professional is responsible for all drug screen costs. If the health professional disputes a result and requests a MRO review (s)he will also be responsible for the cost. What if I am a “recreational drug user”? The use of any controlled substance may impair one’s ability to safely practice. Therefore, as a TnPAP participant the presence of an unauthorized substance (legal or illegal) is not acceptable. 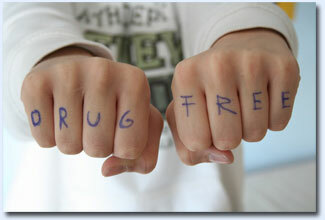 Another consideration is that many workplaces adhere to the “Drug Free Workplace” philosophy. Can I take my legitimate prescriptions for a controlled substance and work? That is a decision for the healthcare professional, their MD and the employer. However, a healthcare provider participating in TnPAP cannot work if the substance impairs their ability to provide safe, effective care to patients or their job performance. TnPAP usually requires a consultation with an addictionologist in these situations. What if I have a legitimate prescription for a controlled substance and it shows on a drug screen? First, a Verification of Prescribed Medication report must be on file in the TnPAP office. Second, the MRO report will distinguish the legitimate positive screens. Can I have an occasional glass or wine? No. TnPAP is an abstinence based program. How do I know if I can take a prescribed medication? Refer to the Medication Guide. You are eligible for completion of your monitoring period by the end date of the Agreement. However, if you are not progressing with the recovery process the monitoring period end date may be extended and completion delayed. Contact TnPAP two weeks prior to your completion date to ensure that you are in compliance with all aspects of the Agreement and that all reports and drug screens have been received to date. Request written support for your completion from the individuals who are involved in your recovery (e.g., group facilitator, therapist/counselor, employer, sponsor, etc.). Submit the above documentation no sooner than two weeks prior to your Monitoring Agreement completion date. Your TnPAP case manager will review your file and prepare the completion letter effective on the Monitoring Agreement completion date. You will be informed when you will no longer need to check in for random toxicology screening. It is recommended that you keep the completion letter (last addition to the folder or notebook) in a safe place for future evidence of your successful completion. You may also want to provide a copy of the letter to your employer, therapist, group facilitator, etc. Tip: It is essential that you maintain this letter in a safe place because you may need to provide it to future employers and TnPAP records are "purged" periodically. Tip: Expiration of the monitoring agreement time period does not always equal successful completion. Habitual noncompliance with any aspect of the monitoring agreement requirements. 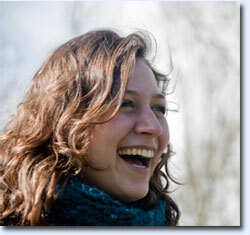 Individual is deemed to not be progressing satisfactorily in recovery. Individual is not residing and licensed in the state of Tennessee. Individual is no longer residing and working within the state of Tennessee. Individual is no longer "willing" or "able" to comply with monitoring agreement stipulations. Whenever a discharge occurs for any reason, except successful completion, TnPAP may be obligated to notify the Tennessee Department of Health, Division of Health Related Boards, and Office of Investigation of the discharge.